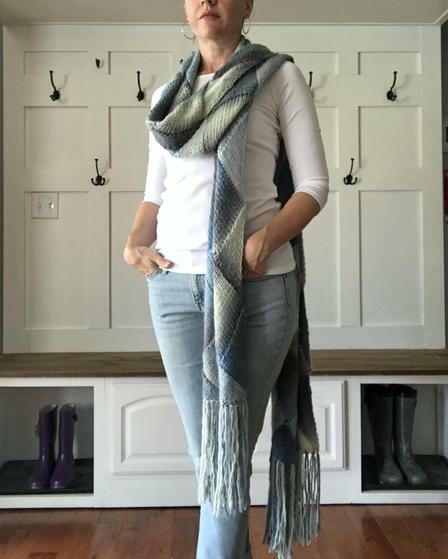 Over a foot wide and more than ten feet long with the fringe, this beauty definitely puts the 'Super' in Super Scarf. 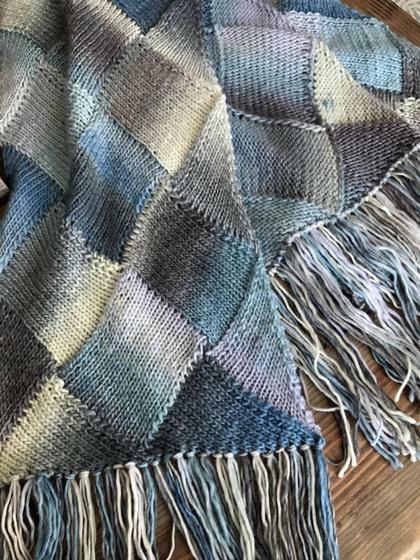 Knit in a worsted weight yarn on larger needles, the resulting scarf is fluid, drapes softly and can be worn wrapped in many different ways! 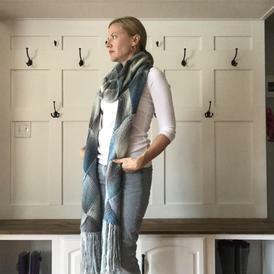 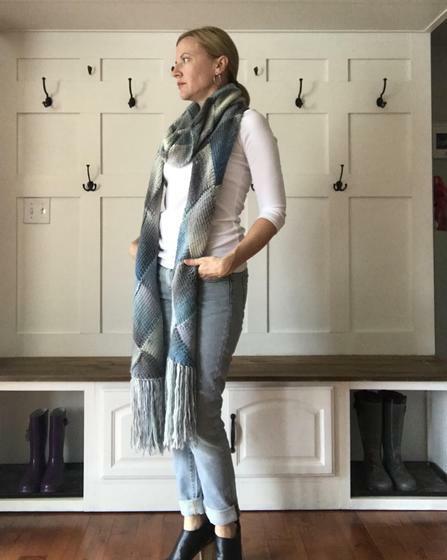 If you don't want a super long scarf, this pattern can also be used to make a regular length scarf, and the pattern includes a stopping point for both a regular scarf (65"-70" long), and a super scarf, but really the choice is yours! 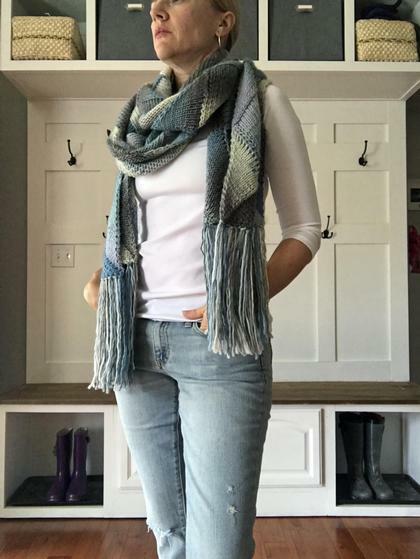 Stop knitting when you like the length and work the last section of the scarf. 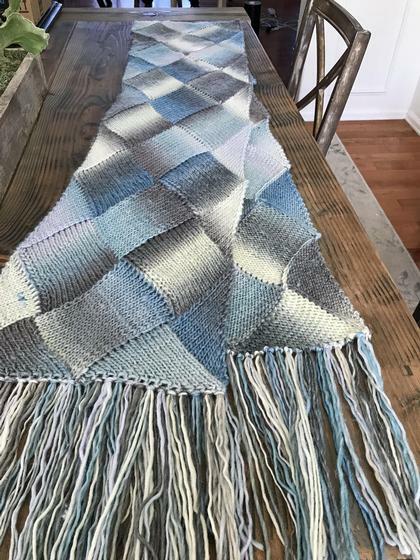 Instructions include detailed description of the Entrelac technique as well as photos wherever helpful.